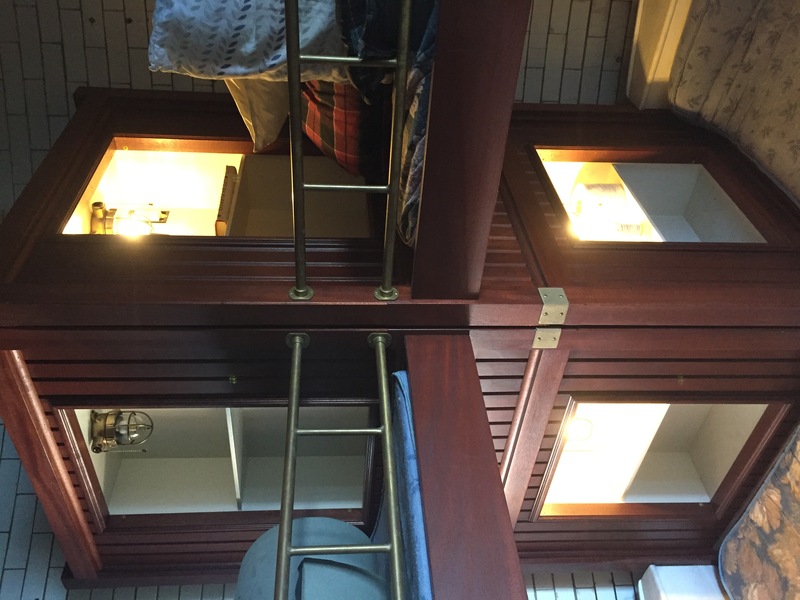 The twin double-decker mahogany bunk beds have their own lighting now. 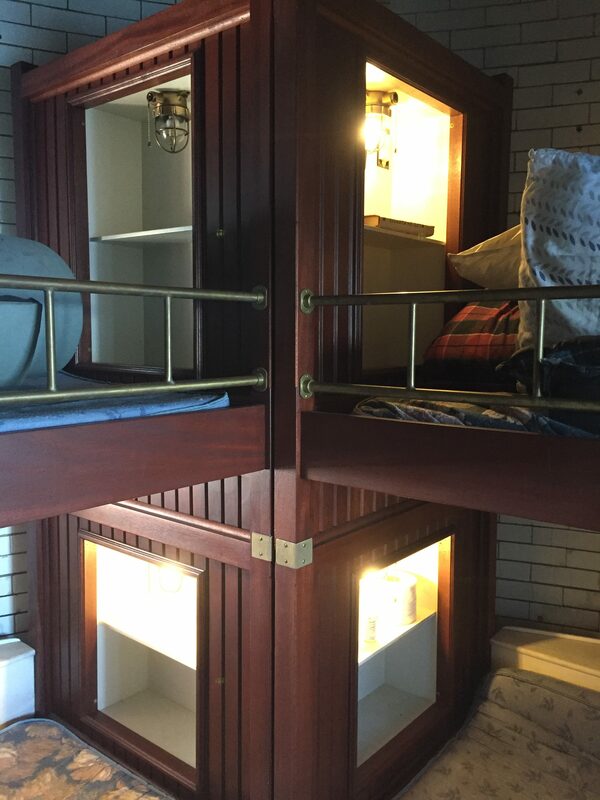 We used brass marine lamps salvaged from an old ship. 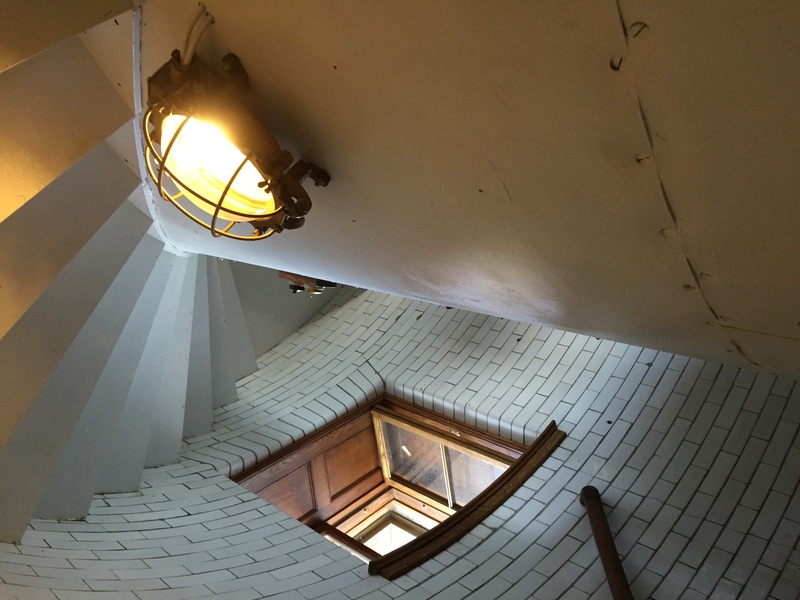 For the first time in 40 years, the Graves Light living quarters have electricity again. 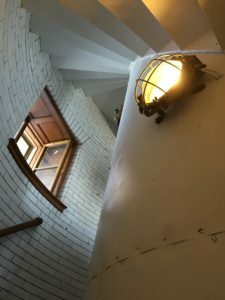 The staircases on all levels of Graves Light now shine with the new electrical system. It was big day “on station” as Jeff and Jacob from Nor’East Marine powered up the lights. Not only do we have LED lighting on every floor and stairwell, but we’ll have regular house current for tools and toasters. For nerds only: They’ve installed a dozen 2-volt marine batteries and we’re running all systems on 24 volts DC. Right now, the batteries are topped up with a generator. The plan – if we can make it work – is to do some solar and wind next season. Excited to hear about the solar and wind renewable energy!